Update: This post inspired us to record a podcast episode: Edit Your Life, Ep. 32: Letting Kids Experience Risk. The great thing about watching parent hacks float by is that I can talk about how these hacks have actually played out in our family. Case in point: what happens when I’ve encouraged my kids to do things (chores, physical challenges, etc.) that aren’t 100% safe. The photo sparked a fascinating conversation about kids, safety, and competence. “This is my kid and my ‘hack’ the picture isn’t quite accurate. 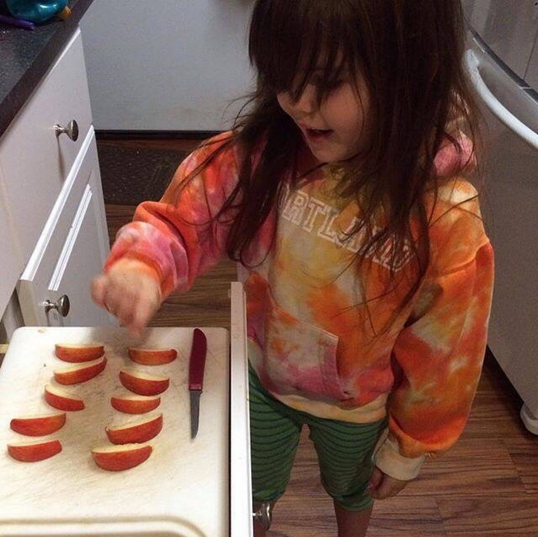 I had cut the apple up on the counter with an apple wedger and she was learning fractions in this picture. The knife was there because she was about to cut a banana next. I have never had any shifting or slipping issues using a cutting board or cookie sheet. The drawer is deep and the tracks are strong so I don’t worry about the drawer coming out. as with anything consider your own child and set up for safety. The front of the drawer is higher than the sides so the front holds it in place well. All in all, it was a respectful and enlightening conversation, which doesn’t surprise me, because Parenthackers are smart and stellar Internet citizens. I’d like to expand on what we talked about based on my experience with my own kids. Kids are more competent than we realize. Kids — even toddlers — can do all sorts of stuff. We know this, but it’s easy to forget when we’re in the habit of doing stuff for them. Let’s be honest: it’s also a hassle. In the beginning, it’s almost always quicker to do something yourself. We’re pressed for time, so it’s no wonder we put on their coats and clear the dishes ourselves. But it’s a good idea to stop every few months and look at your kid with new eyes. What might he be able to do that you’re currently doing for him? If she’s not ready for a task, can you break it into simpler mini-tasks? 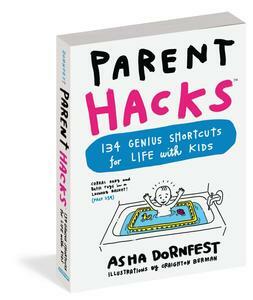 I included “7 Chores Your Toddler Can Do Right Now” in the Parent Hacks book to help new parents keep this in mind. Kids are ready for tasks at different times. The problem is, it’s not always obvious when they’re ready. It’s also individual; one kid’s dying to cut fruit slices at 5, while another can barely handle a marker at 7. Here’s where your judgement comes in. My daughter, a brilliant girl who’s been creating intricate art for years, only recently developed the multitasking ability to use the stove. My son, on the other hand, has been cooking for a while. But it took many years before I was willing to hand him a loaded paintbrush. Another important signal: when kids display interest. Kids are super-motivated to learn something they want to learn. So when your kid wants to help you cook dinner or use a power tool, jump on it, even if it’s just by letting him hold the knife or the tool to start. Kids might get hurt. That risk and reality is an important part of learning. A little danger focuses a kid’s attention. When getting hurt (within reason) is a real possibility, kids generally take the task more seriously. Again, you’ve used your judgement here, so you’ve determined your kid is ready to learn this skill, which includes what to do if something goes wrong. You’re also supervising, at least in the beginning. If your kid does get a little hurt, as terrible as you’ll feel, he’ll learn to handle that, too. “Apprenticeship” is a totally different than academic learning. When I learn something by doing it, I learn more quickly, and I better retain what I’ve learned. I’ve watched the same happen with both of my kids. You can’t teach a kid how to do something physical by telling him about it. But it is a process. First, they watch. Then they try with lots of guidance. Then they try a little more. Eventually, you stand back and let them do it themselves. Not only are they learning a skill…they’re learning patience. Kids gain confidence when they’re trusted to learn something a little dangerous. This has been the biggest bonus for us. When I let my kids learn something difficult and a little dangerous, I see the pride in their eyes. They get the empowering message you’re ready for this. It’s a clear signal that I believe in them, and that I recognize (and celebrate) they’re growing up. I’d love to hear your thoughts and experiences. Click here to discuss this post on Facebook. 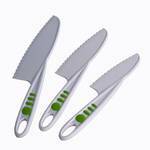 If you’re looking for kid-friendly kitchen tools that actually work, I’m a fan of the Curious Chef line. I received some products for review and was impressed with their quality. This isn’t crappy kiddie stuff — it works well, but it’s easier for kids to hold and handle. For more about kids and chores, be sure to listen to Christine’s and my podcast on the topic: Edit Your Life Episode 26: How to Get Kids to Do Chores. This post inspired us to record another podcast episode: Edit Your Life, Ep. 32: Letting Kids Experience Risk.